Parenting series episode 2. A story about Aliki not wanting her dinner and a shift from frustration to lightheartedness. You can read the first part of our #AskTheExpert with Karolina here. You are human. You will get upset and frustrated, take things personally and behave in ways that you wish you hadn’t. But it doesn’t need to last long. Every moment presents an opportunity to wake up and start fresh. If you yelled at your child, you don’t need to beat yourself up and tell yourself how terrible a parent you are. Neither do you need to try to justify this behaviour by telling yourself how uncontrollable or disrespectful your child is. Nor do you need to over analyse this situation, or worry and complain to yourself or to others how difficult parenting is. We all make mistakes. It’s okay to apologise, take a deep breath and let your mind settle. And from a more settled state, the issue will look very different… You will know exactly what to do. Perhaps talk to your child, maybe let go and forget, or maybe ask someone for help. A clear mind is magnetic to insights that will bring new knowledge and prove to be helpful. Your child is having a meltdown and you are understandably having negative thoughts about it. It is these thoughts, not your child’s behaviour that are creating your feelings. With hindsight, your child’s behaviour will probably look totally differently from what it does now, in the moment, where it appears like a monster-sized problem. The more we realise that we live in the world of thought, the less and less we blame our frustration and upset on both our children and ourselves. We see it for what it is – momentary thinking that brings certain negative feelings. It starts passing much quicker and we start to fall into wellbeing and clarity more and more. We all have built-in resiliency and if we do not give in to these upsetting thoughts, we can bounce back to wellbeing and clarity quite easily. When we act under stress or what I sometimes call ‘urgency mode’, we are less intelligent in our actions. By this, I mean that we literally have limited access to the part of our brain that is able to think with creativity, abstraction and logic. If we focus only on our child’s behaviour, we will not be able to solve problems in a sustainable way. We need to take a look at what is underneath this behaviour. What they’re doing makes complete sense to them according to their thoughts in the moment. When we are curious about what is going on for our child, we get a chance to see their needs. We can ask: “How does the world look to my child right now? How does he feel? What might he need?” … We need to look towards the innate health, wellbeing and resiliency of a child (and of our self) to see something new, fresh and helpful. When we are in a frustrated state of mind, it may look like the question we need to find the answer to is “How do I manage my kids and myself, given how hard parenting is?”. But this is a question that comes from a negative state of mind. When we are in a loving place, challenges look different and we are more likely to find solutions that work. The more helpful question is – “How do I spend more time in this loving place and how do I do as little damage as possible when I am not in that place?”. Techniques and strategies will do very little if you don’t understand that your feelings come from your thought in a moment and our experience of life is changing moment by moment as our thoughts change. We can have a different relationship to our thinking – we can either buy into it and get entranced by it or we can have perspective and be more present. Let’s say your child threw rubbish on the floor (even though so many times you explained that we throw rubbish in the bin) and you are upset. Thoughts like these can pass through your mind: “Why did they do it again? I must be a really lousy parent since I cannot discipline them. Why is he so mean? What will his grandparents say when they come to visit and they see this behaviour? How terrible will it be when she’s a teenager” (or any other version of judgemental and worried thinking). You can take your thoughts really seriously and feel bad, perhaps yell at your child or sulk or worry. Or you can be present in the moment – you understand that you are thinking insecurely and that this is making you upset. This awareness creates some space between you and your thoughts and it gives you the freedom not to act on them. The rubbish on the floor has no power whatsoever to make you feel anything, just your thoughts do. You take a nice deep breath and allow your mind to settle. You feel calmer, you see more clearly and from this state of mind you know much better how to handle the situation. What to say and how to say it will come more easily… and it will be spot on-because you are present and responsive to the moment. People, especially children, don’t respond to our words but to the feeling from where the words came. It is much easier to work out problems from a lighthearted feeling whether you are dealing with a toddler or with a teenager. Thinking harder when you are upset or worried will not give you helpful answers. You can hear your wisdom when you allow the noise of your thinking to settle. 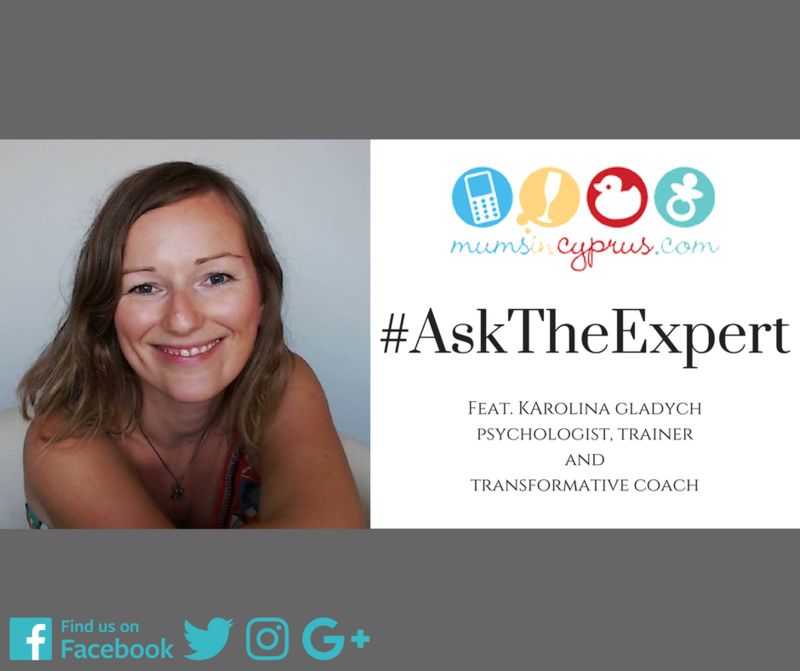 We will continue this parenting #AskTheExpert with Karolina next week, where she will talk about trusting your parenting instinct… So, stay tuned! Karolina Gladych is a psychologist, a trainer and a transformative coach. 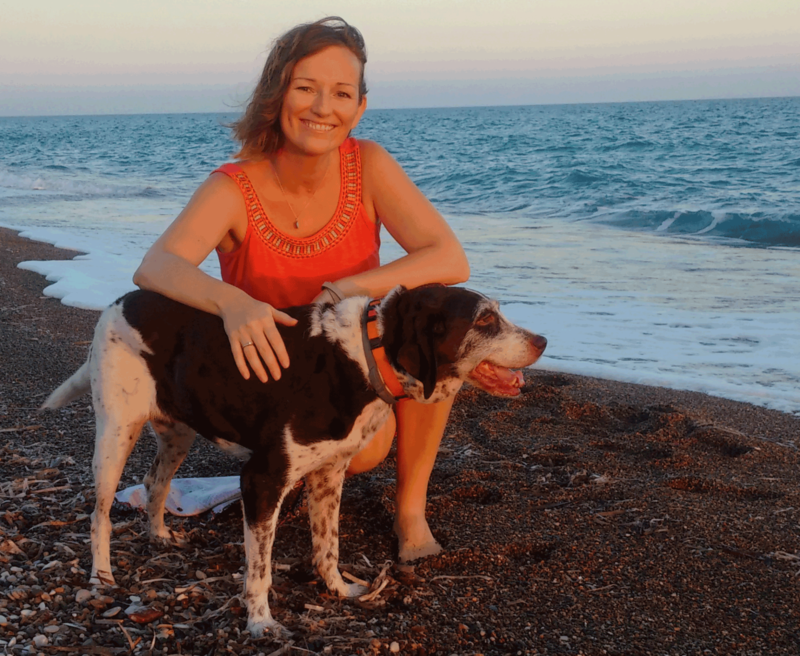 Since 2007 she has been working extensively with educators, leaders, parents and clients from all walks of life from all over Europe. Karolina especially loves working with women who want to reconnect with their inner strength and wellbeing, live with a deep sense of joy and ease and successfully create something unique and meaningful in their personal or professional lives. In September 2017 Karolina started her Parenting with Ease video series that can be found on her website http://www.karolinagladych.com/parenting-with-ease.